Secure and proven: Gravelled inverted roof. 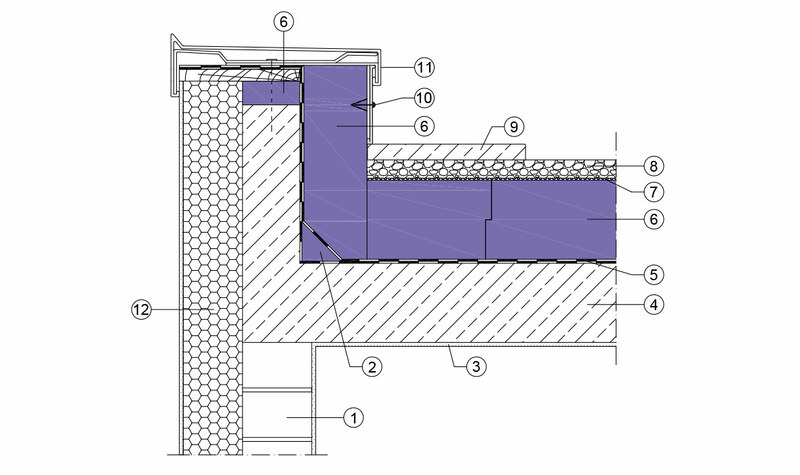 JACKODUR®: Durable insulation for functional flat roofs. 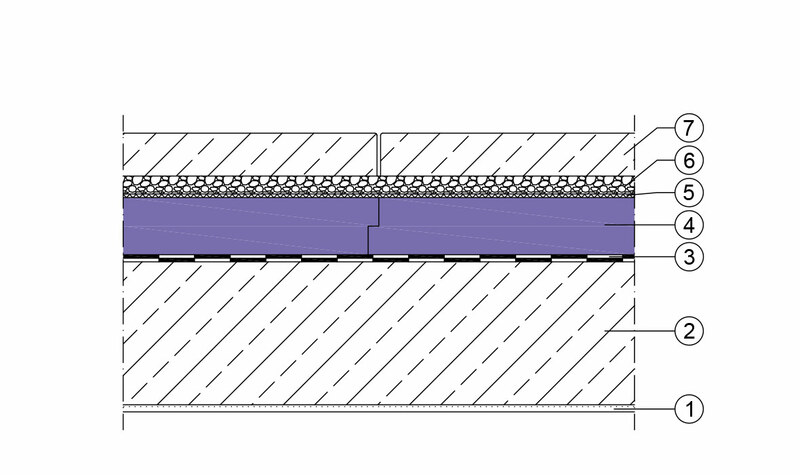 The simplest structural configuration of a JACKODUR® inverted roof is as a gravelled inverted roof. 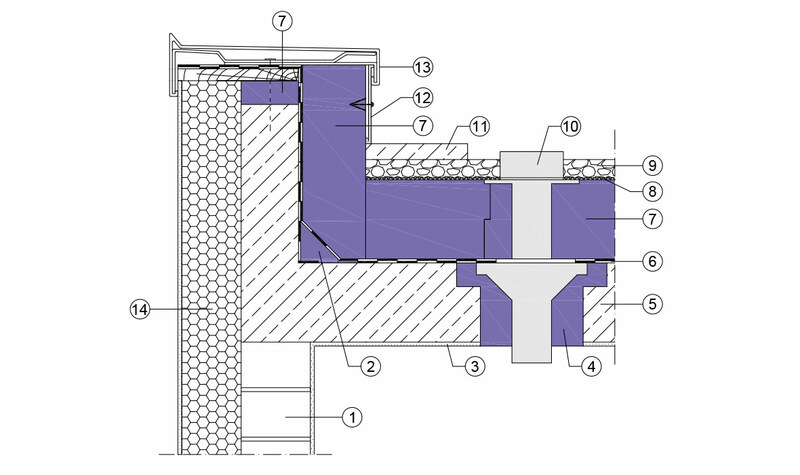 In this tried and tested method, the insulation protects the roof membrane and provides a secure roof structure. 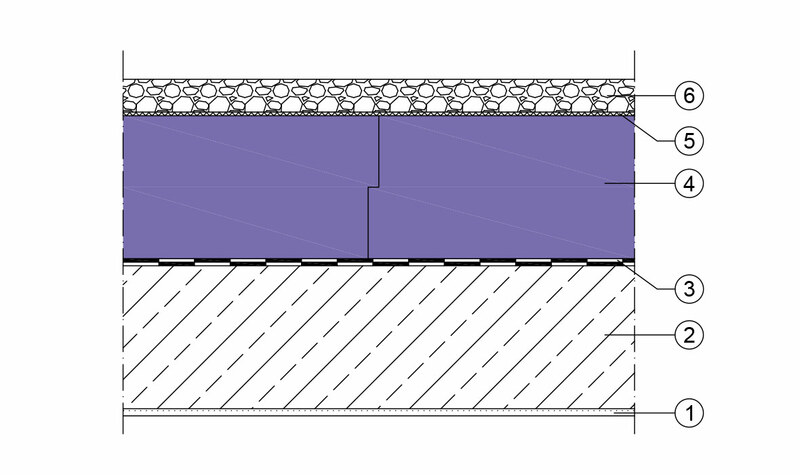 The breathable JACKODUR® filter layer WA is laid on the insulation boards to stabilize subsequent layers and repel moisture. 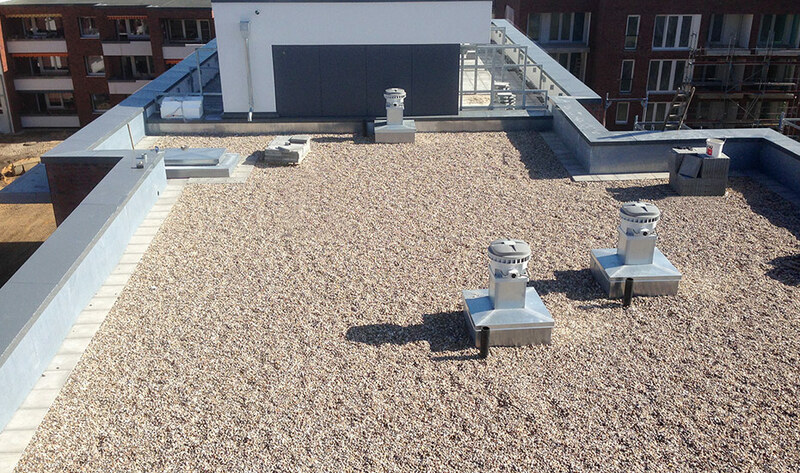 Installed on top of the insulation and non-woven material as surface protection, the gravel layer then protects the roof and the insulation from UV radiation and mechanical effects.